Last week, we went over Part 1 of the Introduction to Posture. If you haven’t read the first part yet, read through it before starting on the second part. Part 1 is a basic primer to understanding posture while Part 2 discusses practical knowledge and how to apply it while rolling/drilling/competing. For the purposes of Brazilian Jiu Jitsu, we can consider the Cervical Curve to start at the top of the skull and end at the base of the neck / beginning of the shoulders. The Thoracic Curve begins at the top of the shoulders and ends roughly at the same height the ribcage ends. 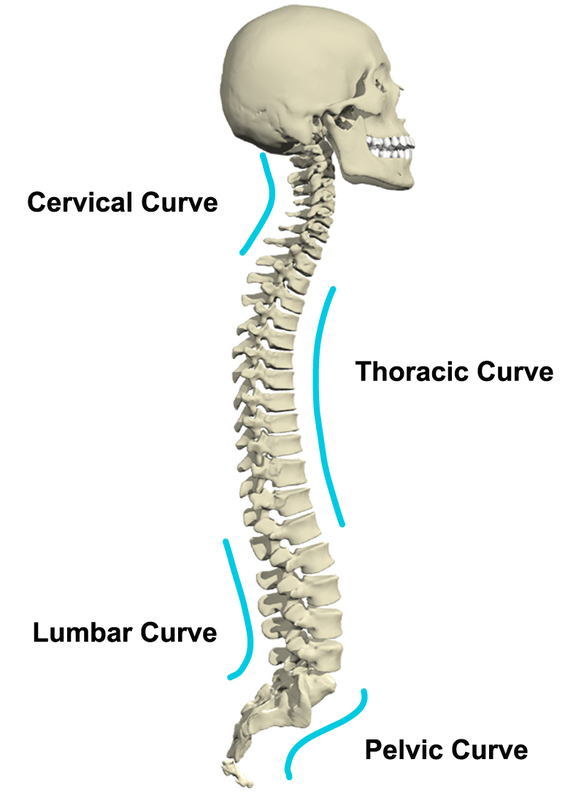 Lastly, the Lumbar Curve and Pelvic Curve are closely connected because of their dependent movement throughout the pelvis. If we look at guard passing with the same strategy and tactics as we use in a game of Chess, then you can consider head control (control of the cervical spine) to be Checkmate. If you are passing the guard and are able to anchor to your opponent’s upper body and then use torque to turn their head off of a straight, neutral position, the rest of the spinal column and limbs will concede all of their current positioning to re-align themselves with the head. Most of the time however, you will be unable to directly control the head at the beginning of the guard passing sequence because the guard player will use the entirety of their body to fight you off with sweeps and submissions! Continuing the Chess analogy, the hips are the most powerful obstacle to overcome when passing the guard. Just like capturing your opponent’s Queen in a Chess match, once you have moved beyond your opponent’s hip-line, most of their offensive efforts are extinguished and they must struggle to re-align their body and then fight their way back to the guard. Just like controlling the head, remember that in this context, “control” of the head / hips / etc refers to twisting that specific portion of the spine against the remainder of the spine. This is where it gets interesting – The hips / pelvis provide the brace necessary for the guard player to use the leg press, the strongest movement in your lower body. Controlling the hips means you have avoided the leg press and (for other reasons as well) are only a couple steps away from completing the guard pass. People often have trouble at this step because they have controlled the legs and hips but cannot obtain the upper-body control needed to go from controlling the legs (think of the Bullfighter pass grips) to dominant position (side control, back control, etc). This is why the leg-drag style of guard passing is deceptively powerful: The upper-body control can easily be obtained from hip-control IF turn your opponent’s hips away from the direction you intend to move. Since the hips / pelvis attach to the bottom of the spine, turning the pelvis will twist the spine in a similar way that controlling and turning the head does. Whether this twist in the spine occurs at the pelvis or the head does not matter – your opponent’s nervous system will look to re-align the spine, and in doing so, cannot produce the force necessary to prevent you from obtaining upper-body control. Rafael Mendes (top) is passing the guard to his right and using his position to cause the guard player’s knees and hips to turn away from him (to Rafa’s left). This forces the guard player to turn his chest and head to Rafa’s left as well in order to re-align his spine. Turning away at this moment present a great opportunity to take the back using the Seatbelt -> Chairsit combination.